With grateful thanks to Raksha with whom much of this story is co written. Faramir waited outside the door of his father’s study. He fidgeted nervously, his apprehension growing. His father had summoned him to an urgent meeting well over an hour ago, but there was no sign of the Steward. He was exhausted and wanted nothing more than to seek his bed and rest. The retreat from Osgiliath and the flight from the Nazgûl had drained him more than he would admit, but first he must face his father’s wrath, which would take all his wits. His father had been in a strange mood of late, spending hours alone in the topmost room in the tower. His temper had grown increasingly uncertain and there was even talk of him beating the servants, which, if true, was most unlike the usually icily controlled Steward. The look in his eyes earlier when he had learned of Faramir’s encounter with the Ring bearer and his companion had been truly terrifying to behold. Faramir went into the room and knelt before his father, kissing his ring of Office. The Steward did not bid him to rise, so he remained kneeling at his father's feet on the cold stone floor. Denethor’s office was as austere as the man himself, a simple desk piled high with papers and two hard wooden chairs. The walls were devoid of tapestries and adorned only by several ornate swords and a riding crop. The floor was equally bare save for a somewhat worn hearthrug, which lay before the meagre fire, the room’s only concession to comfort. “What have you to say for yourself?” Denethor asked sternly. His haggard face looked even more careworn than ever and was grey with fatigue, as if he had been engaged in some great struggle. “I did only what I believed to be right,” said Faramir. Faramir’s eyes lit up.” I have seen the King in my dreams, the tree blossoming at his coming!” he said in a rapt tone. Something inside Denethor snapped and he snatched the riding crop from the wall. Faramir struggled to repress a shudder. As a child he had sometimes been beaten for such misdemeanours as tearing his new clothes or answering back, but never as a man. “No, father, I am loyal to you and to Gondor,” Faramir protested, but had no choice but to comply. This was not only his father but also his liege lord and to disobey was certain death. Divested of his upper garments, he knelt patiently trying not to tremble from a mixture of cold and fear. Faramir hardly knew whether the words or the blows hurt him the more. Unable to remain kneeling upright under the force of the blows, he curled into a ball vainly trying to protect himself. After what could not have been more than a few moments, but felt like an eternity, Denethor dropped the whip and slumped back on his chair. “Go, sleep while you may. The enemy marches upon us, the hour of doom is at hand, Minas Tirith will fall! I have seen it!” He buried his face in his hands. Faramir pulled on his shirt and staggered from the room. He struggled to reach his chamber, at times forced to clutch the walls for support. Reaching his room, he collapsed on the bed. He knew he should send a servant to fetch a Healer, but they would ask how he had come by such hurts. How could he let any see the shameful marks of his father’s displeasure? He must tend his own wounds as best he could. He pulled off his shirt, finding it soaked with blood, and stuffed it under the bed. There was water in a pitcher on the washstand. He poured it into the bowl and bathed the painful welts on his back as best he could, before applying a salve the Healers had given him for his most recent wounds. His task completed, he changed into a nightshirt and fell into bed. Although Faramir was exhausted, sleep was slow to come. His back throbbed painfully and his mind was in turmoil. What had happened to his father to cause him to act so violently? Was he truly a traitor? He had indeed been commanded to slay all who were found in Ithilien without his father’s leave, but how could he harm two helpless Halflings with whom the fate of Arda lay? Why could he, unlike Boromir never please his father? Why did his beloved brother have to die? He dared not think of it. There was no time to grieve. Tomorrow he would redeem himself in his father’s eyes. He would ride out and die for Gondor. Faramir awoke from a few hours of uneasy sleep. His back throbbed painfully and it took considerable strength of will to drag himself from his bed. When he tried to dress, he found the dried blood had caused his nightshirt to stick to his back. He struggled into his robe and called for the servants to fill the bathtub in his room with hot soapy water. It was an unusual request for him to make at this hour, but was obeyed unquestioningly. Faramir had always been a favourite with the Citadel’s many retainers, who liked him for his modest and kindly manner. Now they treated him with a new respect, which had previously been reserved for his brother. Faramir soaked in the tub until the water started to cool. The soap-filled water eased his back, at least enough for him to move with little pain. Then he dressed. Breakfast, brought for him while he had bathed, held little allure, but he forced himself to eat some of the fresh-baked bread and sausage. The coming day, whatever it brought, would demand all his strength, and a wise soldier, whether guardsman or Captain, knew to take food when it was offered. A servant informed Faramir that the Steward had summoned all the captains to a council. The morning dawned like a brown dusk and Faramir’s heart was heavy as he made his way to the Council Chamber. “We should not lightly abandon the outer defences,” said Denethor. “It is at Osgiliath that the Enemy will put his weight, as before when Boromir denied him the passage." “And what of Cair Andros?” said Prince Imrahil. "That, too, must be held, if Osgiliath is defended." “Much must be risked in war,"said Denethor. "Cair Andros is manned and no more can be sent so far. But I will not yield the River and the Pelennor unfought - not if there is a captain here who has still the courage to do his lord’s will.” He looked at Faramir as he spoke, his eyes issuing a challenge. All fell silent at the Steward’s words. The captains were brave men, but they believed that they would better employ their men on the City's impregnable walls than in so risky a mission. “I do so,” said Denethor. Faramir walked from the room, hoping none would notice the slight stiffness with which he moved. Angry mutterings broke out amongst the assembly, only to be quelled by Denethor's cold glance. Faramir tried not wince as his manservant helped him don his armour. “Are you well, my lord?” the young man enquired. The servant fell silent, too overcome for further conversation. On his way to join his men, Faramir espied his Uncle together with his cousin Elphir. He noted wistfully how father and son smiled at each other, how Imrahil gazed fondly at Elphir and put his arm around his son's shoulders, before parting with a kiss of blessing. Imrahil was overseeing the Outer Defences while Elphir remained within Minas Tirith. Faramir’s heart ached as much as his back. His father had sent him forth with blows rather than blessings. Only a handful of men turned aside, so great was their love for their Captain. Faramir could only wish that he shared the Grey Pilgrim's conviction that his father cared for him. After last night, it was hard to believe. Faramir wondered sadly how he could ever fill his brother’s place. He could only try to lead with Boromir's valour. Faramir was painfully aware that even should he triumph against all odds, his mission would still not suffice to raise his worth in Denethor's eyes. How clearly obvious his father’s disapproval must be, if even the folk in the streets murmured of it. This battle was his chance to acquit himself with honour, even if it ultimately cost him his life. If he could hold the enemy in Osgiliath even a day, the delay might provide enough time for the Rohirrim to come and save the City. Perhaps his father would at least remember him in death with some of the approval he had withheld in life. Two days later, Faramir and his men found themselves fighting for their very lives, as the ordered retreat that he had shepherded from the Forts splintered under the screams of the Nazgûl. Bravely they battled Haradrim hordes, fierce Orcs and worse of all, the Nazgûl, whose very presence made the blood run cold in all who beheld him and drained all hope from the hearts of Men. Swords clashed and arrows flew. Bravely the Men of Gondor fought. Outnumbered ten to one, their cause was a hopeless one. Faramir gave the order to retreat and started back towards the City. Somehow he kept his surviving men who together. Intent on fighting a Haradrian horse soldier, the Captain failed to notice the Southron arrow aimed at his heart until it was too late. Faramir gave a low cry and fell senseless to the ground. Imrahil had ridden forth with his men to cover the retreat. Dismayed, he saw his kinsman fall. Heedless of his own safety, he urged his horse forward to the aid of his stricken nephew snatching him just in time from the Southron swords, which sought to hew him to pieces. Placing Faramir in front of him, he urged his horse to gallop back to the City. Fury blazed within the Prince’s heart. How could Denethor have risked his surviving son like this? Faramir was no common soldier, but the heir on whom all Gondor’s hopes now rested. This young man had a rare gift of inspiring hope within Men’s hearts. Where Denethor had been feared, Faramir was admired and loved. Whenever he saw Faramir, Imrahil could glimpse his long-dead sister in her son's eyes. His poor sister had been as much a sacrifice for Gondor as both her sons now seemed fated to be. Men wept in the streets as Imrahil bore his stricken nephew in his arms and the people cried out Faramir’s name. Prince Imrahil brought Faramir to the White Tower, where he said to the Steward: "Your son has returned, lord, after great deeds." But Denethor rose and looked on the face of his son with ashen eyes and no words. At last he bade them make a bed in the chamber and lay Faramir upon it and depart. Denethor turned from the still form of his son, then suddenly left the chamber. Imrahil was surprised that no healer had been summoned for the Steward’s heir. He could only assume that they were all otherwise occupied in tending the many wounded. Imrahil, who had received some training in the Healing Arts, decided they could not afford to wait. The longer the arrow remained in Faramir’s body, the greater the chance that a fatal infection could arise. With the help of a servant, Imrahil divested Faramir of his armour and cut away the clothing surrounding the wound. He then called for hot water, salves and bandages to be brought. Heating a knife in the fire, he deftly cut the arrowhead from Faramir’s flesh. To Imrahil's great relief, the wound was neither deep nor vital, the arrow having embedded itself in the muscles of his nephew’s shoulder. Neither the injury nor the arrow that had dealt it seemed to be poisoned. Yet Faramir did not awaken, to Imrahil's concern, even after the arrow was extracted. And Faramir's skin felt feverishly warm and clammy. Imrahil cleaned and bandaged the wound, and was just about to search for further hurts, when Denethor returned and dismissed him. The Steward’s face was grey and haggard. He looked even more ill than his son. Imrahil had no choice but to reluctantly leave Faramir alone in his father's hands, and return to the defence of the City. This chapter is co written with Raksha whose help is greatly appreciated. Faramir was growing weaker by the hour. The fever burned on, sapping the little strength that remained after days of hopeless battle, the contagion loosed by the Enemy's dark riders, and the cursed arrow that had struck him at the last. Even now, Faramir seemed to struggle to breathe. Denethor's only remaining son was dying. Denethor was certain of that if nothing else. Imrahil had urged him to have Faramir carried to the Houses of Healing - to what end? The heir to the last Steward of Gondor should perish with his closest kin by his side, not servitors. He would care for Faramir in his final hours. The painful memory of his last words to his only remaining son twisted in Denethor's heart like a knife. Tending Faramir now, after sending him forth to die with such disdain, was the least he could do. It was not enough. Outside the White Tower time dragged on, while Denethor sat there, mopping Faramir’s brow and calling his name. Faramir did not answer. He never even opened his eyes. Denethor shut his own eyes, trying to stem the tide of misery that threatened to well up behind them. For the first time, he was glad that his lady was dead, so that she was spared the agony of one son's death and the other son's prolonged dying. Could it not be granted to him to see Faramir's eyes open one last time, to glimpse one last flicker of the light that had been Finduilas of Dol Amroth? How could he have ordered Faramir to ride to almost certain death without even a commander's encouragement? The young man was, after all, his only surviving son. The reminder that Boromir was no more struck Denethor as sharply as an arrow. Why had the Valar allowed his greater son to fall, leaving this gentle, credulous dreamer who had let go of the Enemy’s weapon when it fell into his grasp? In the palantír, Denethor had seen the Halfling who Faramir had described, the Ringbearer, Frodo son of Drogo, borne to Cirith Ungol by a troop of Orcs. Faramir might as well have delivered the poor creature to the Orcs himself! How Sauron must be gloating over his prize, the prize that Faramir had given him! All this was the fruit of Mithrandir's poisonous counsel! Denethor's memory brought forth the image of the Grey Pilgrim beguiling the innocent, motherless child, filling the boy's head with legends of Elves and heroes of old. The Wizard had stolen Faramir, stolen his regard, and stolen his allegiance. Mithrandir had turned Faramir’s head with talk of the White Tree blooming again and the King who would one day return. King indeed! The man was none other than that upstart Thorongil. Denethor grimaced as anger seared his heart. Had Mithrandir intended Faramir to offer that scoundrel the crown after Denethor himself had gone to join his longfathers? Had that been the wizard's game all along? Alas, alas for Boromir, who would never have bowed to any but his father! A sudden flash of foresight came upon Denethor: a vision of Faramir regarding Thorongil with the same adoration that Ecthelion had reserved for his favoured Captain. So Mithrandir had intended Thorongil to usurp his son’s affections in the same way the Northerner had stolen his father’s love? Yet Mithrandir, supposed master of pawns, had lost the game in the end. Thorongil might yet skulk out of the hills, but there would be little left for him to claim. Strange indeed that he should see it so clearly, as it could never come to pass now. The City was in ruins, as was his House. The waves of pain and rage had receded. Denethor felt numb as he stumbled away from Faramir's bedside and climbed up to his secret place atop the White Tower. Denethor looked again in the palantír. A vast fleet of black-sailed Corsair ships was sailing up the river to reinforce the Enemy’s troops. It was over, there was no hope left for Gondor. The West would fall. All was burning. Soon he would burn too. And what of Faramir? He was as good as dead already. He would not send his son away from him again. Better they should burn together. None save he should touch his son. Resolved, Denethor called for his servants. Faramir had no idea how long he had been in this dreadful place. It was so hot. Where did such heat come from? He looked up to a sullen grey sky and saw, to his horror, what appeared to be a black sun that scorched the air and earth, slowly concealing the true light. Anar, what has befallen thee? his heart cried. He seemed to be in some sort of maze, with walls made of cruel thorns that tore at his flesh whenever he tried to find a way out. Every now and again he would stumble, and fall and the light would grow just bright enough for him to see that he had tripped over a corpse, each one recognisable as of one of his men. Accusing eyes stared out of decaying flesh disfigured by hideous wounds. Faramir wanted to weep, but could not; neither could he retch at the hideous stench of decay. Faramir’s legs grew weaker, but he forced himself to remain upright. The prospect of crawling over the dead bodies was too dreadful to consider. A constant throbbing pain in his back and shoulder weakened him even more. Orcs lunged at him out of the darkness and tore at his flesh and his clothing. Between their curses, the creatures snarled out threats, gleefully describing exactly what they intended to do to him. Faramir managed to stop or kill them with his sword, but his arm lacked the strength to go on much longer. He was thirsty, so parched that he could hardly swallow. Sometimes he thought he heard running water, but could never find any to drink. Faramir called out to his father, trying to warn him to escape, lest he be captured too. There was no answer, only distant cries and the smell of smoke. The City must be burning, just as his father had foretold. He thought he heard Mithrandir’s voice, but that must have been an illusion. Surely the wizard would not leave him to languish in this place? Or was it a punishment for letting the Ring fall into the Enemy’s hands? He was stumbling now every few moments. Soon his body would fail him and he would fall and be unable to rise again. Suddenly, Faramir saw a circle of light at what appeared to be the end of a very long tunnel. He could make out the faces of his mother and Boromir standing there. They smiled at him and beckoned to him to come into the light with them. Then his father joined them and gestured that he should come to them. He knew that death lay before him. He had been told that deceased loved ones came to lead your soul beyond Arda when the hour of death drew nigh. But why was his father amongst them? Had he too perished in the battle? Faramir prepared to embrace his death willingly. What did he have left within the circles of this world? He had led his men into darkness and death. His beloved brother was dead. His father had no love for him. The Enemy was poised on the brink of victory. He knew now what his dreams of a great wave had foretold. Gondor would be destroyed, just as Númenór had been. He had cherished such hopes and dreams. Dreams that one day his father would look at him with the same delight in his eyes that he reserved only for Boromir then tell him that he loved him and was proud of him. He had dreamed too of a wife to cherish and a large brood of children to dote upon. How he would have liked a home of his own, in the green vales of an unstained Ithilien, its walls lined with books and its halls ringing with music and laughter. What joy it would have been to become a scholar rather than a soldier! His father had been right though; dreams were only for fools. These cruel times had no place for dreams. He started to make his way along the tunnel. The light grew brighter. Then he heard it; a faraway voice calling to him: as from a distant shore. He tried to ignore it, but the call was insistent. It was a deep voice, resonant with the power of command and the urgency of a friend, that repeatedly called Faramir’s name. Faramir turned in the direction of the voice, which seemed to be coming closer. Then a hand reached out to take his own. At first, Faramir thought it was another foul creature and tried to break away, but this hand belonged to a living man. It held him firmly in a strong yet gentle grasp. “Faramir, come to me!” said the voice. Faramir could now see its owner, who was faintly illuminated by the glow from a green gem he wore upon his breast. The man was very like his father, and yet not quite. The stranger had grey eyes, which now alighted on Faramir with a warmth and kindliness long absent from Denethor's face. He appeared to bear Númenórean lineage, having the dark hair and carven features of a true son of Westernesse. Faramir noticed that the man's noble features were drawn and weary. For some reason he could not name, this saddened him. “I do not know if I can. I am so weary,” said Faramir. He could hear the plaintive calls of his mother and Boromir, and he yearned to lay it all down, the burdens, the pain, and the sorrow, and follow them. Suddenly a tall, dark figure, faceless and hooded, appeared and seized Faramir's other arm. Terrible cold coursed from the shadowed one's gauntleted hands as he tried to pull Faramir from the stranger’s grasp. It took most of Faramir's strength just to breathe. The only warmth in all the world lay in the hand of the stranger with the green stone. Faramir held on to that hand with all his heart and hope. A deathly scream rent the air. The foul creature's cold grip relaxed, then released Faramir entirely. The stranger bore him up, supporting him until Faramir could stand unaided. The shadow-fiend had gone! “Are you one of the Valar?” Faramir enquired of the stranger. The man threw back his head and laughed, though not unkindly. For an instant his whole face lit up and the sound of his merriment was as sweet music in this grim place. “I do not know the way,” said Faramir. “I will not let you go,” Aragorn replied firmly.” Lean on me!” With these words, he placed an arm around Faramir’s chest, so that he was bearing much of his weight. “You will set us free,” Faramir said with sudden foresight. He felt oddly safe now. If he died this moment, he would die content. Despite his words, the King's grip seemed to be growing weaker. Faramir began to fear that maybe they were now both trapped in this dark place. He could have wept from the pain, the heat and the thirst, but had no tears left. The path was now so steep they could traverse it only inch by agonizing inch, and foul creatures assailed them at every turn. Aragorn drew his sword and slew the vile monsters as they appeared, all the while never relaxing his grip on Faramir’s hand. Just when it seemed they could endure no longer, a wondrous scent wafted though the foul air like the first breath of sping in the dark heart of winter. Faramir’s spirits at once lightened. He turned towards his companion and saw that Aragorn was smiling and looking much refreshed. “We are almost home now,” the King said. The tunnel closed, but before they vanished he could hear His mother's and Boromir's voices ensuring him of their love and telling him it was not yet his time to leave the circles of the world. Aragorn laid a hand on his brow and sudden strength coursed through Faramir's veins. He was cool now, though still dreadfully thirsty. He breathed deeply of the sweet scent, which had now banished all traces of foulness from the air. It was growing lighter. Faramir blinked and opened his eyes. He found he was lying on a bed and Aragorn was bending over him, holding a bowl filled with the sweet smelling substance in front of his face. The King smiled at him, his eyes filled with approval and affection. It was the smile he had always yearned for from his father but never received. A light of love and knowledge was kindled in his eyes. "My lord, you called me. I come. What does the king command? "said Faramir. "Walk no more in the shadows, but awake!" said Aragorn. "You are weary. Rest a while, and take food, and be ready when I return." My advisers tell me I should proceed with care. They seem to think I know little of Gondor’s history, when they remind me of the kings of long ago, the horrors of kin-strife and war. Castamir the Cruel’s name still causes a shudder in all who hear it, while other kings were vain and foolish. These venerable men were my father’s counsellors. They remind me our House ruled wisely and well for close upon a thousand years. The House of Hurin has lineage as ancient as any scion of Isildur. My longfathers settled in Gondor with Anárion and there remained, as much a part of the land as the very soil and the trees rooted therein. "If we were to have any King," old Cemendur, named for a King like so many here today, huffs from his chair; "It should be one of the true line of Anárion, descended from father to son, not through a woman!" Cemendur has apparently forgotten that my own line continued its inheritance of rod and rule through a woman, when Steward Dior was succeeded by Denethor I, son of his sister Rian. And he dares to teach me our history! I say nothing yet, merely watch and listen. Other voices warn me that we dare not resist. The Lord Elfstone holds the Rohirrim, through the love of their young king, in one hand, and the power of Mithrandir in the other, and now holds sway over my uncle Imrahil as well. They say he is a schemer who only healed me to gain popular support in his bid for the throne! I begin to understand my father's impatience with his Council. I stand up and face them. ”Were the Lord Aragorn merely a devious pretender, would it not have been easier to leave the heir of the Stewardship, his greatest potential rival, to die of the Black Breath?” I ask. “After giving me life, he rode out to an almost certain death, hazarding his own life to give the Ringbearer a better chance to save us all. Though I grieve to say so, it was the Lord Aragorn who led us to victory while my father chose to perish in the flames. Were it not for Mithrandir and the Lord Aragorn, the House of Hurin would have ended that day. I have listened to you all, but my decision is already made. When he brought me forth from the darkness, I beheld the greatness of the man and hailed him as King. I mean to offer him his rightful crown and gladly surrender my Office." Some faces are aghast, some voices stutter in protest, some sigh and others are quiet. I think that none can believe that the King has truly returned to Gondor. I survey them with my most compelling gaze, which I remember well in the eyes of the last Steward to sit here. "My lords, there will be no more argument. I, Faramir son of Denethor and twenty-seventh Ruling Steward of Gondor, now accept the kingship of Aragorn, son of Arathorn. I have decided!" 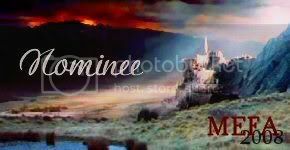 A/N The final chapter is an expanded version of a ficlet written for the AA Group, which inspired me to write this story, a series of vignettes concerning vital decisions for Denethor, Faramir and Aragorn. Each chapter has been given a title from a popular hymn. I have referred to Denethor having beaten Faramir several times, most notably in “Facing the Darkness” where Aragorn tends Faramir’s hurts and in several other stories. As Faramir is haunted by this penultimate encounter with his father, which shapes his early fear of Aragorn, I felt it needed to be shown. When I first started writing LOTR stories, I had unfortunately read far too many evil Denethor and poor abused Faramir ones, which coloured my perception. I have changed many of my ideas since then and have decided Denethor is too cold and controlled to be a habitual abuser; nor a monster. I have endeavoured to portray his actions in this scene are the result of the madness which will destroy him a few days later. I feel when I wrote “First Meeting” that I did not to justice to the wonderful scene of Aragorn and Faramir’s first encounter. Some dialogue is taken directly from Tolkien's "The Return of the King". This story is influenced by Raksha’s wonderful “The Falcon and the Star” , a must read if you have not already done so.